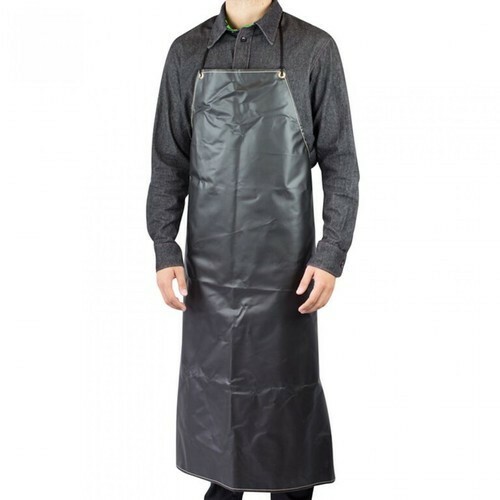 These heavy duty aprons feature Nitrile coated fabric which is fully resistant to acids, oils and grease. They feature nylon stitching and double-thickness edges for strength. Reinforcement patches, metal grommets and tape ties offer protection from excessive wear-and-tear. Nitrile is U.S.D.A. approved and ideal for food and meat handling usages. 100070 APRON, NITRILE 24"X35" 24" x 35"
100080 APRON, NITRILE 35"X45" 35" x 45"